Anonymous Tip: No Corroboration? No Problem! Does an anonymous, unverified tip of dangerous driving justify a traffic stop? Yes, says a divided Supreme Court. In Prado Navarette v. California an anonymous 911 caller reported that a vehicle had run her off the road. 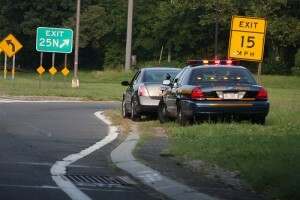 The Court held 5-4 that a police stop complied with the Fourth Amendment because, under the totality of the circumstances, the officers had reasonable suspicion that the driver was intoxicated. When police stopped the Navarette brothers they smelled marijuana. A search of the vehicle revealed 30 pounds of marijuana. Image courtesy of Flickr by dwightsghost (creative-commons license, no changes made).